Customer Relationship Management (CRM) is a central database used to store contact information, record historical interactions, automatic repetitive tasks and create alerts for future actions. Before we get into more of the specifics of a CRM, we need to address one obvious flaw with its name. Despite the word “Customer” existing in the of Customer Relationship Management, a CRM can be used for more than just your customer data. Keep that in mind when you think about the possibility for a CRM in your business. 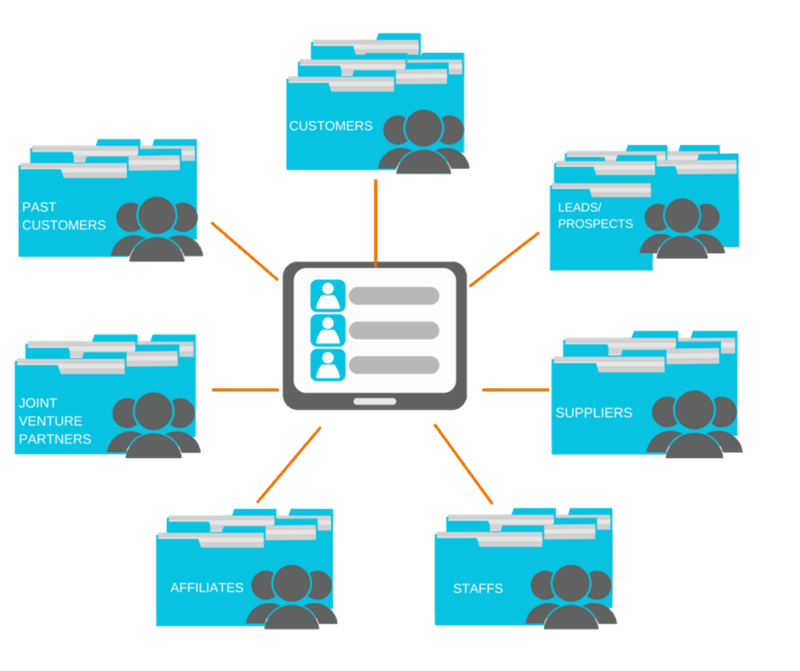 How can it help gain visibility and manage the relationships between your business and those relevant parties above? Should You Worry About A CRM? You might be wondering; do I really need a CRM? I have never met a business that couldn’t benefit from a CRM. Particularly when you consider every contact that has ever approached you or you have ever approached whilst running your business. If you want to do this in a more central and systematic way, then a CRM is the way to go. Let’s look at the core functions of a CRM. Let’s look at each of these function, how it’s often manually completed and what’s possible with an online CRM. Contact data refers to information that you’d like to capture about a person. Every contact will have the ability to store this data for, however, you may or may not have the data for all. Typically, the more interactions you have with a contact, the more data is gathered. 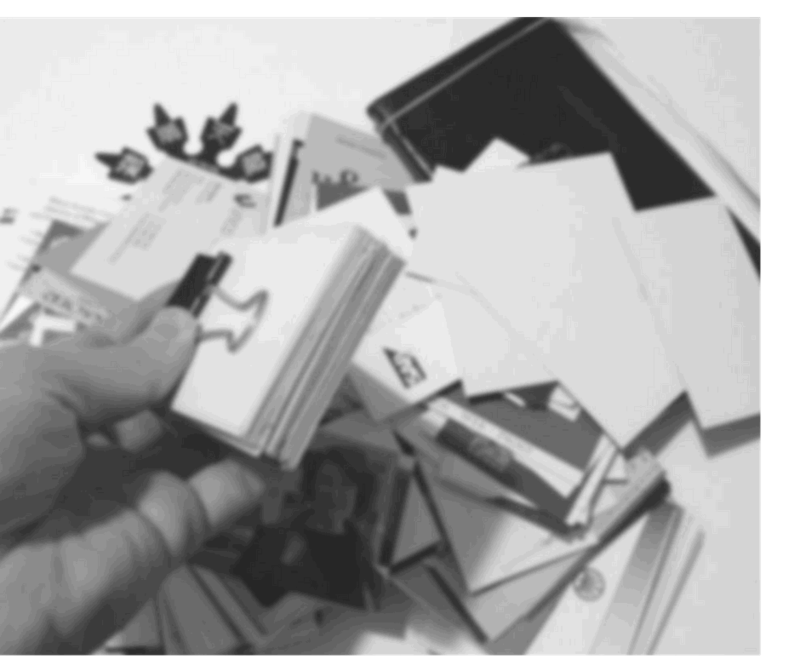 Business Cards – you perhaps have a Rolodex of people’s name, core contact details and you might even write some notes about them on the back of their card. This information is not accessible if you’re out of the office or by other team members, and there are only so many things you can add to the back of someone’s business card! Spreadsheets – you’ve got all your contacts stored in one place with columns representing different data you have on your contacts. This works but spreadsheets make it hard to tick off the next functionality that most businesses need in a CRM. Find a group of contacts that meet a set criteria – for example, you’re visiting Sydney for an upcoming trip and want to reach out to all of your prospects in the Sydney region to see if they are available to catch up. You can search your database for contacts that meet that criteria. Mobile access – unlike business cards, wherever you are, if you have internet access, you’ll be able to access contact records on your mobile device. 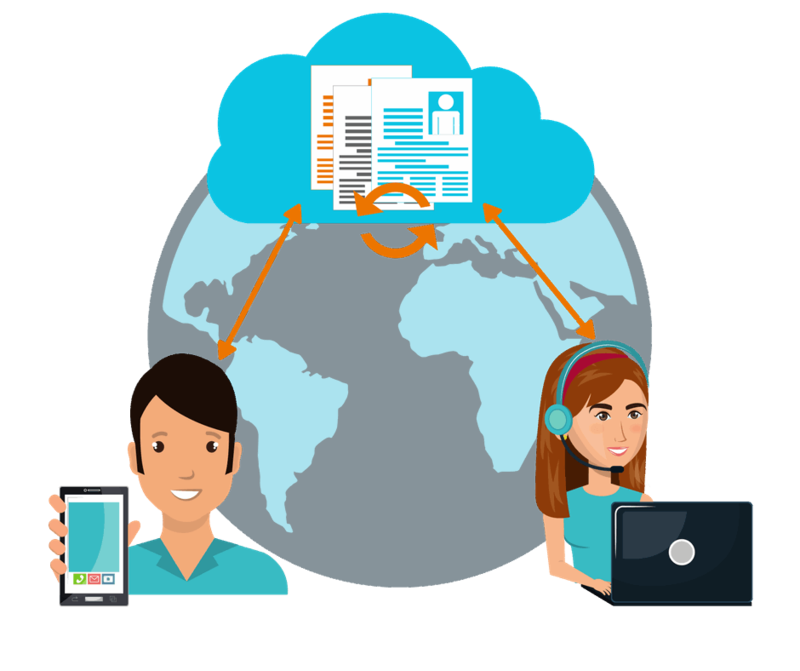 Accessibility by staff members – having a cloud based CRM allows team members, no matter what location to be able to access the same contact records remotely. The second function all CRMs should have is the ability to store the history of key interactions between the contact and your business. 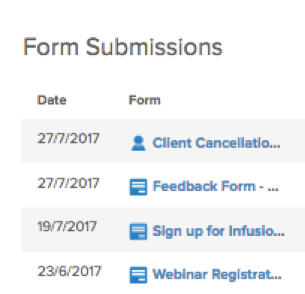 Form Submission – this is when someone completes a form on your website e.g. Contact Us, Enquiry, Newsletter etc. Task History – this captures when a task was created and completed by the various team member, so you can see exactly what’s been done when. Sales Enquiry History – what a contact has contacted you about and when. So that when you look at Suzie’s file you can see that she enquired about Product XYZ a year ago. Purchase History – you can obtain visibility of the products/services each person has made, when, the amount so you can know more about each contact, but also start looking at trends/insights on buying patterns etc. Not At All – This information starts to get really hard to keep track off when you have a number of clients and/or have been operating your business for some time. Therefore, often it’s considered too hard to capture and therefore not stored at all. Various Systems – you could be using a combination of systems to gain visibility. For example, your email client to capture email history, your accounting software to view purchase transactions, along with your calendar for task history. This means you’d need to go into every system, instead of using a CRM to view this information. You Don’t Have To Remember! I don’t know about you, but my memory isn’t great! A CRM means you don’t have to remember when you made that phone call when that email was sent etc. The third function all CRMs should have is the ability to automate follow up. This includes being prompted with alerts of actions in the future that you need to take to engage with a contact. For example, Suzie has filled out an inquiry form from your business. She’s phoned by a member of the sales team; however, she is going on leave for 3 weeks now and would like someone to follow up with her when she returns. In your head! 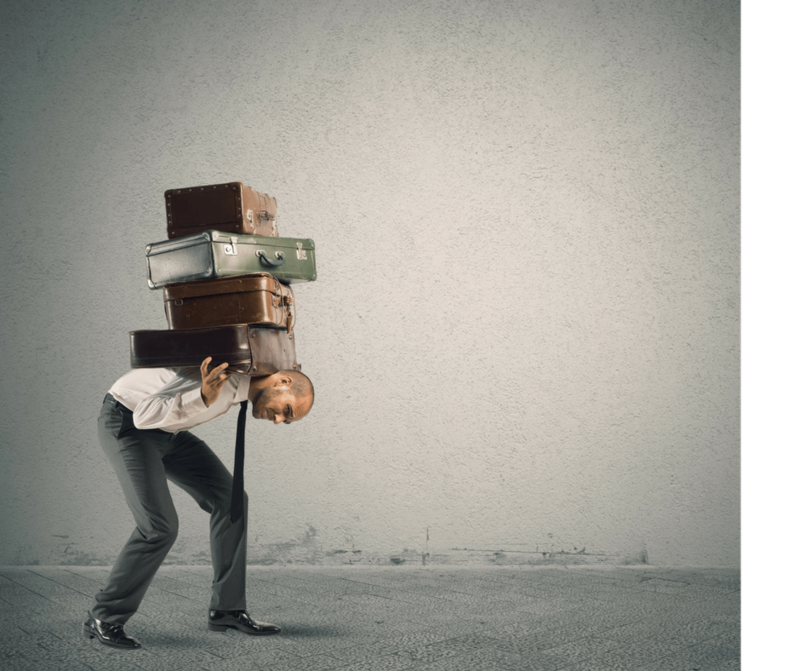 You might be relying on your memory of all the things you need to do. For example, you’re hoping you’ll remember to call Suzie in 3 week’s time. This approach is risky because you must remember, and if you’ve got a lot of open tasks you’re relying on your memory for there is a greater risk you’ll forget! Post-it notes – I’m a big fan of post-it notes and I used to write down things I needed to do daily via post-it notes. 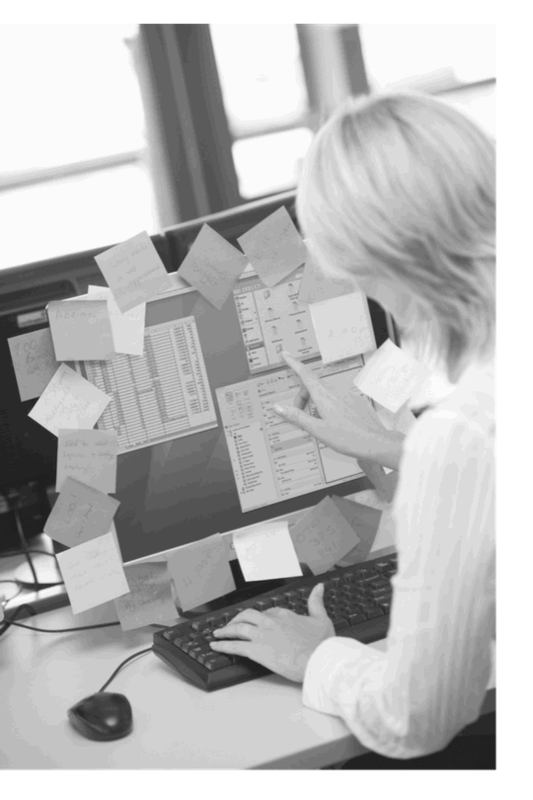 But unless you’re only managing only a couple of contacts, then your desk can get overwhelmed by post-it notes, and you can easily forget to follow up at the exact right time. Calendar – you might be managing your follow up tasks in your calendar. If you don’t have a CRM and that’s what you’re doing, hats off to you! Using this method can be more reliable than the first two, as long as you’re of course completing these tasks/actions. Failure to have a strong follow-up system in place can make or break your business. Follow up on time – How many times have you contacted a business to make an inquiry and you weren’t ready? You said to them follow me up in 3 months and you never heard back? Don’t let that be you! Make sure you do what you say you’ll do and follow up on time. Stop losing leads/sales – Having a proven system in place will reduce the number of leads and sales that you’re losing right now. Doing anything manually always increases the chance of things getting missed. 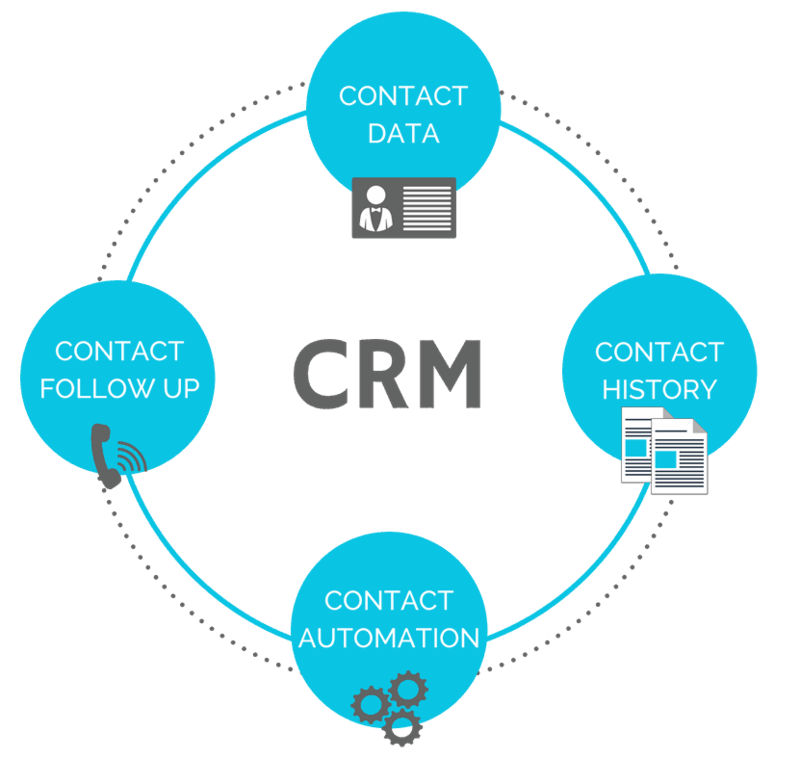 Therefore, by using a CRM for its contact follow up functionality will make it easy to trust that it will be taken care of with system prompts/alerts/reminders to take action when due. Look professional – By following up when you say you will, looks like your business is professional but you have your stuff together. This can increase confidence for prospects/customers who are looking to transact with you. The final functionality that best practice CRMs offer is marketing automation, which makes it easy to automate repetitive tasks. An example of this is automating email follow up after an appointment with a buy now link to finalise payment. Manual – you’re doing the same thing multiple times in your business and you don’t have any standard manual templates in place for communication that you’re sending on a regular basis – this takes a lot of time and creates higher labour costs in the process. Combo – you’ve got some standard email/document templates written, however you’re still having to manually update them and send them out individually. Broadcast Platform – you may have a broadcasting tool in place, but you haven’t tapped into the power of automating to fully deliver a repetitive workflow without the need for manual work. 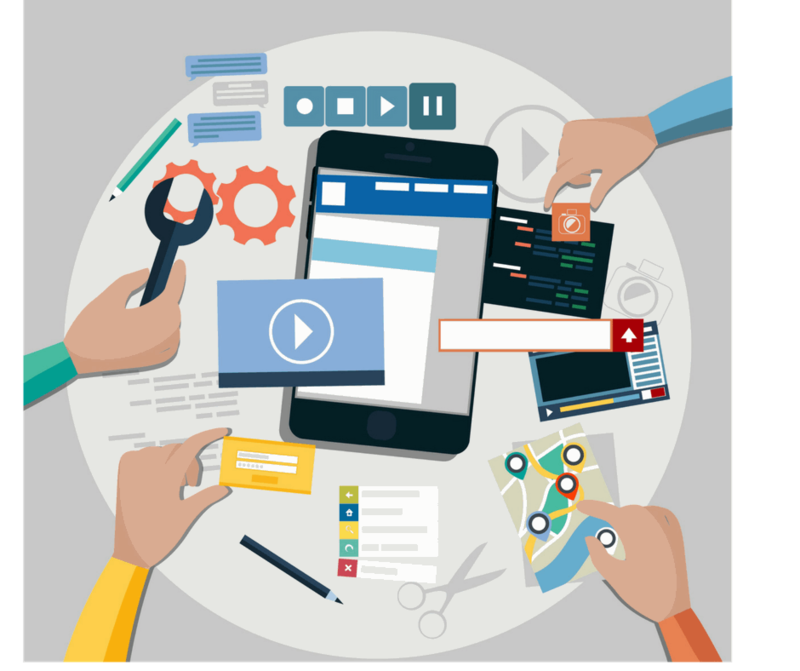 Failure to launch marketing automation takes a lot more effort to engage with leads, customers and your other stakeholders as you need to do this manually. Save Time – you can save hours by automating repetitive actions that you/your team are doing so you can move away from doing things the hard, manual and slow way. Also by freeing up time, you’ll be able to focus on other activities that can generate more results that your business is looking for. Create Consistency – marketing automation setup correctly can create a more consistent experience for your contacts because everyone is being interacted with the same way. Your sales team member Bob who is lazy, can tap into the same automation that one of your conscientious Sally uses all the time. That way no matter who the prospect speaks with, the prospects have the same experience. Reduces Error – automating anything can reduce manual error. Focus on Hot Leads – if marketing automation is setup correctly, it allows a business to focus on warm/hot leads. This saves time but makes it possible for your sales team to speak more to hot prospects instead of wasting time on everyone (even if they are not ready). A CRM is used as a central place to capture leads once you have generated them via various channels – social media, website, trade shows, networking events and affiliates. A good CRM should capture where the lead was generated from. This helps inform how many leads you’re getting from various channels, what marketing avenues are working for you – from a lead generation perspective as well as where your best clients are coming from. Infusionsoft is a powerful tool that covers multiple needs of small businesses including CRMs, lead generations, marketing automation and more. No matter what system you’re using, make sure that you’re assessing and utilizing the functionality that is key to a CRM. Custom Fields – in addition to the contact fields (standard fields e.g. First Name, Email etc), you have up to 100 custom fields that you can add to your database with Infusionsoft. Lead Scoring – ever want to automatically be told to reach out to a contact because they are engaging with you and they are a hot lead? Infusionsoft also has that functionality measured via these hot flames in which you get to set the criteria if someone is hot or not. Referral Partners – another feature is the ability to track who has given this lead to your business automatically. The Infusionsoft Referral Partner module allows users to track based on rules that you set, who the referral/affiliate is and it will automatically calculate commissions on products/services processed through Infusionsoft. User Security – if you don’t want your sales teams getting distracted by leads that aren’t theirs, Infusionsoft can also restrict access to contacts that aren’t owned by that sales rep.
No matter what system you use, to remain competitive all small businesses must tap into the power of a CRM. As people say, the money is on the list! Well, it’s in your relationship with your list, however, if you don’t have a consolidated list to start with, you don’t really have a legitimate business. Running a business via business cards, spreadsheets or off the top of your head is a lot of pressure, is incredibly risky and a lot more work. 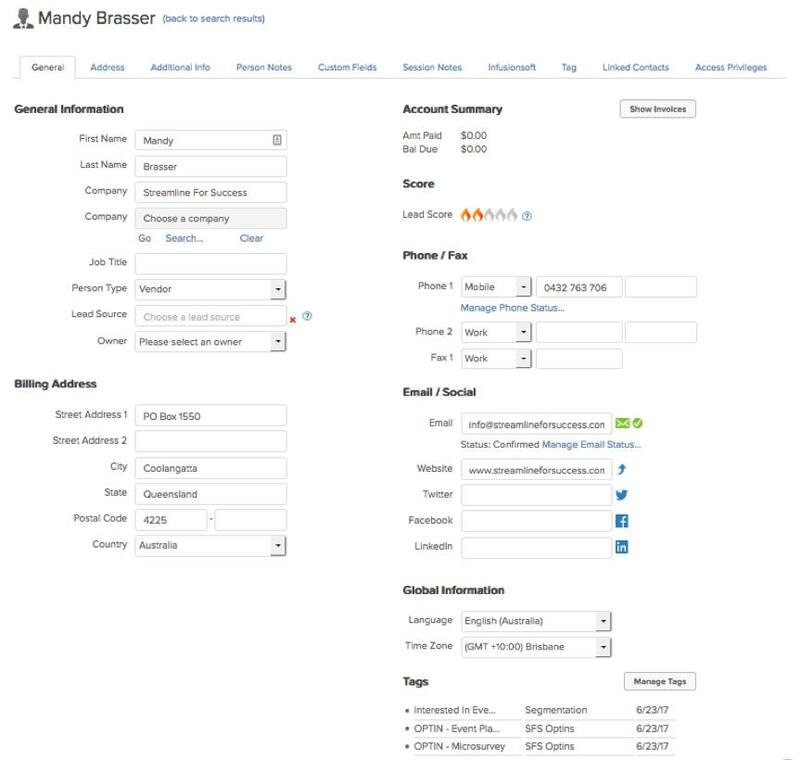 Implementing a CRM that you can use to make your life easier to capture key information about your contacts, capture the history in one location, setup follow up when required, and tap into marketing automation so you don’t have to do the same manually every time. Got CRM questions specific to your business? Click to book in your Free No Obligation Consultation today. Let’s see if implementing a CRM can help double your business like it has done for thousands of others.